A very warm welcome to the 2015 Icebreaker Awards ceremony! I am happy to host the Icebreaker Awards reception for the fourth time. 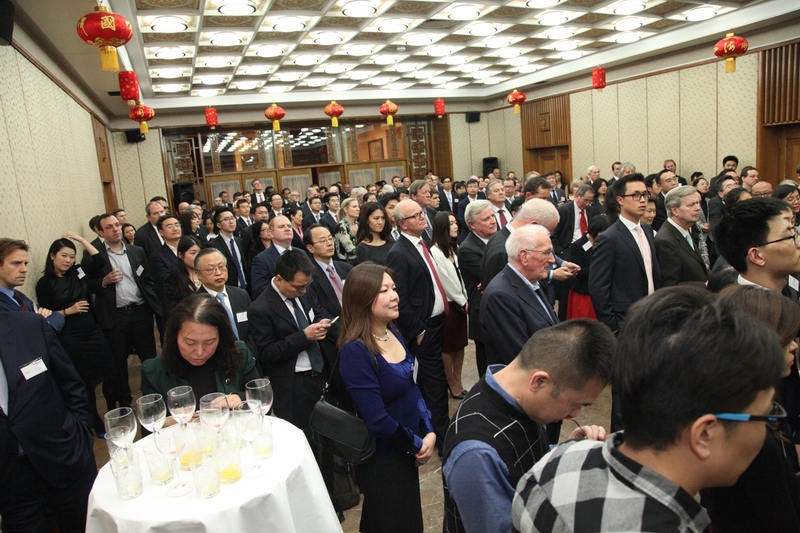 This event is all about recognising outstanding personal contributions made to advancing relations between China and Britain. It is now a well-known co-brand of the 48 Group Club and the Chinese Embassy. Every time I very much welcome the opportunity to meet and congratulate the awardees and learn more about their commitment to China-UK relationship. So let me begin by offering my warmest congratulations to the 2015 Fellowships awardees on becoming the Icebreaker laureates tonight. 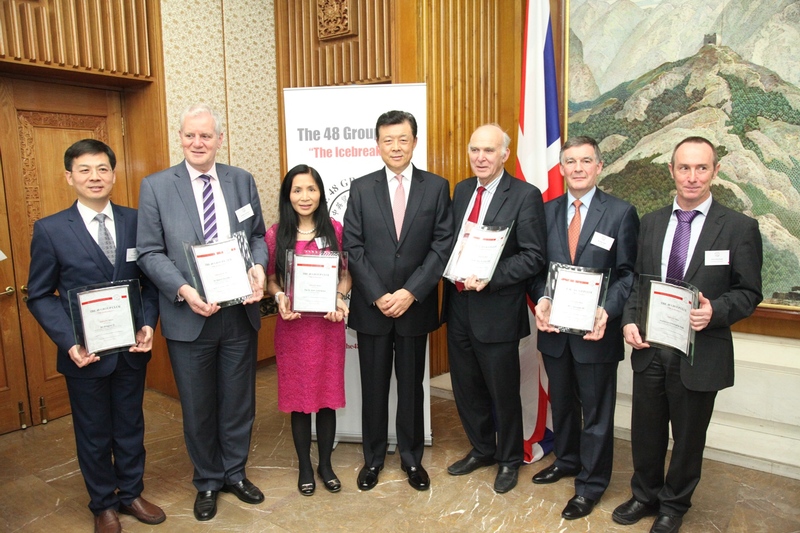 For decades, the 48 Group Club has been a synonym of China-UK friendship and cooperation. The latest evidence of such was during President Xi Jinping's state visit in October. I vividly recall that after meeting British friends, President Xi Jinping had a private conversation with Chairman Perry. The President encouraged Chairman Perry and the 48 Group Club to carry on working for China-UK ties in a new era. Undoubtedly, the China-UK relationship is standing at a new starting point. President Xi's 'Super State Visit' to the UK was an unprecedented success. China and the UK announced their commitment to a global comprehensive strategic partnership for the 21st century. Together, we will create a 'Golden Era' for an enduring, open and win-win relationship between China and the UK. This upgraded China-UK ties, while mapping out the way forward, serves as a guideline for the 48 Group Club and indeed for all those devoted to China-UK friendship and cooperation. Today, the 'thick ice' that once blocked China-UK exchanges has long gone for good. But the 'icebreaking' spirit initiated by the 48 Group 60 years ago is certainly not outdated. China and the UK should cooperate in broader areas, at a higher level and in greater depth. To achieve this, we must carry forward the 'icebreaking' spirit and renew it with what truly features within the 'Golden Era'. In the 'Golden Era', we should be the 'icebreakers' in the field of business cooperation. We must be more daring to take the lead. I am proud to say that China-UK cooperation in financial services and nuclear energy is well ahead of China's cooperation with other developed countries. However, we need to make greater efforts for fruitful cooperation in high speed rail, infrastructure, high-end manufacturing, production capacity and creative industry. By matching our respective strengths, we can boost our growth and achieve prosperity. We need to further our cultural and educational cooperation and increase exchanges in media and sports, including football. We need to draw on each other's experience in health, and science and technology. This includes increasing exchanges in medical and healthcare, and conducting joint research and cooperation. We need to promote youth exchanges so as to encourage more young people to become 'young icebreakers' in the new era. We need closer cooperation in anti-corruption, law enforcement and security in order to eradicate 'safe havens for criminals'. There must be a crack down on organised crime and cyber crime. Also there is the fight against terrorism. We need concerted efforts to stimulate global growth and improve global economic and financial governance. We need to make a joint response to global challenges that concern the future of humanity. These include infectious diseases, climate change, environmental pollution and antimicrobial resistance. We need to respect each other's political and social system. 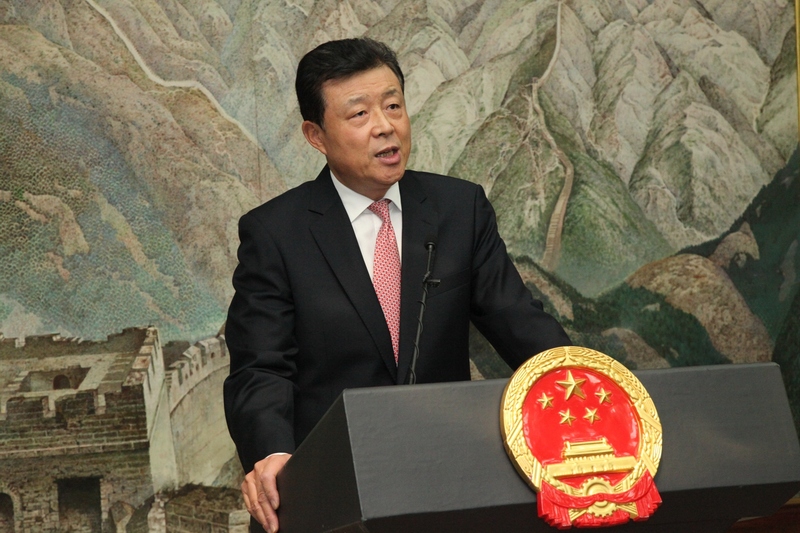 We need to come to understand each other's development path, reform strategy and growth pattern. We need to learn and draw strength from each other. And we need to match our growth strategies, seize opportunities for cooperation and advance inclusive development. For the very purpose of enhancing understanding, I am going to give a speech next week, at the joint invitation of the 48 Group Club and the China Chamber of Commerce in the UK. I will talk about China's 13th Five Year Plan and the Belt and Road strategy. I look forward to discussing with my British friends the opportunities that are up for grabs for China-UK cooperation. I hope to see many of you over there next week! China-UK relationship is in the position to become the standard-bearer for relations between China and the west. China and the UK can set an example of the new model of state-to-state relations. And in doing so, China and the UK can bring greater benefits to the peoples of our two countries and beyond. Together, let us uphold the 'icebreaking' spirit of the new era. Let us be the 'icebreakers' of the 21st century. And let us contribute to the 'Golden Era' of China-UK relationship.